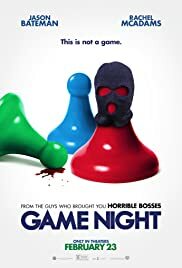 Game Night is my latest review. It's not really a black comedy for it's too cheery for that. "Night" is more blackish, a light comedic romp. The laughs in Game Night aren't of the belly variety but there's plenty of snorts and chuckles to garner my recommendation. No one truly seems in peril despite incidents of gunshots, kidnappings, and fistfights. Basically "Night" never lets you take it too seriously. It's wholly original buffoonery that just wants to have fun. Jason Bateman is in the lead. He plays yet another sad sack everyman. Bateman channels this type of role in a lot of his farces. With his congenial looks and his breakneck style of delivering lines, Game Night seems like it gives him the best, most comfortable fit. 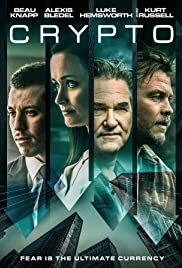 Dare I say that "Night" is the exemplary Jason Bateman vehicle. 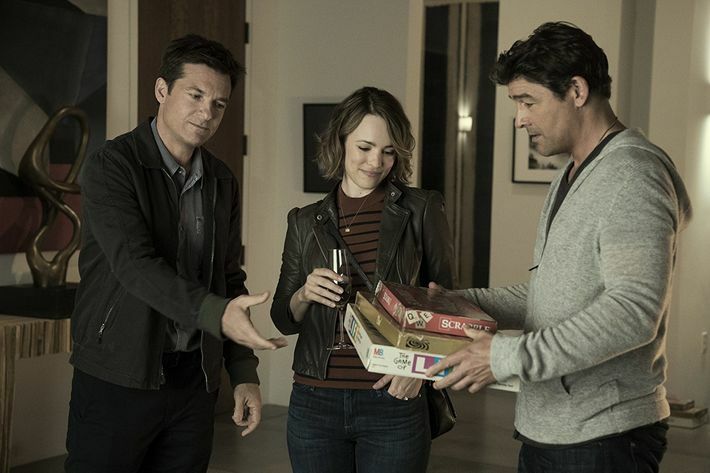 The story of Game Night revolves around a married couple named Max and Annie (Bateman and Rachel McAdams). Having in common an incredibly cutthroat nature, they invite other couples over for charades, board games, and plenty of chips and salsa. One weekend, everyone changes it up a bit and goes over to the house of Max's brother (Brooks played by Kyle Chandler). Brooks decides to turn a normal "game night" into a real-life murder mystery. Just imagine a combo of violent abductions, slapstick encounters, and scavenger hunts. Of note: I'm not sure why "Night" has been saddled with an R rating. It's not completely vehement, I don't remember hearing any F words, and there's not much in the way of sexual innuendo. I mean, a teenager wouldn't even flinch if they saw it. Anyway, Game Night will resonate if you've seen stuff like Horrible Bosses or 1987's Adventures in Babysitting. It has mild twists and turns and some aerial shots that actually look like objects in the game of Monopoly. "Night" also has neat closing credits that are humorous and don't involve outtakes (that's a refreshing change). A lot of the characters in "Night" spew movie references from material like The Green Mile, The Sixth Sense, Pulp Fiction, and Django Unchained. Normally, I find this adage tired and stock but surprisingly it adds to "Night's" peppy charm. Bottom line: Would I call Game Night a comedy classic? Probably not but I did enjoy it. Would I say that it's a good way to get to the theater and escape those late winter blues? Definitely. "Game on!" Rating: 3 stars.